CELEBRATE ‘HALALOWEEN’ AT HS&CO WITH THE RETURN OF THE RODIZIO! You came, you ate, you conquered and then you wanted more! It seems that the good people of London enjoyed our last Brazilian Rodizio Night so much that they were simply desperate for another one and who are we to say no? So we’re coming back by popular demand on Tuesday, 31st October for another ‘Braziliant’ Fiery Feast that will again allow diners to enjoy an unlimited supply of explosive Brazilian flavour, all for just £23 per person. The special, mouth-watering menu for the evening will be headed up by the famous Picanha (Sirloin) – widely considered to be the ‘finest’ cut of meat throughout Brazil. Also available will be the Alcatra (Rump), Costela de Carneiro (tender lamb ribs), Figado de Galinha (rich chicken liver) and Brazilian-style Chicken Wings, as well an abundance of sides and a selection of sweet desserts. As is traditional in Brazil’s vibrant communities, all meats will again be served from the skewer at the table in true Rodizio style. Last month, demand for our first ever Fiery Feast far exceeded supply and our Rodizio event had sold out before we could barely say ‘churrascaria’. Over a hundred diners scrambled to secure their place in advance and they left with stomachs fuller than they ever thought possible. “Our passion at HS&Co is giving customers great quality, Halal alternatives. Events like this give us the perfect chance to do this while also giving diners the opportunity to explore new flavours and cultures,” explains Great British Halal Chef, Hamza. “It’s great that we can stretch this out and give an alternative to the final night of October which is normally associated with ghosts, ghouls and evil beings. The sizzling spectacular will take place from 6pm – 10pm and due to the anticipated high-demand, reservations will only be accepted in advance, so you’ll need to book early to avoid disappointment. 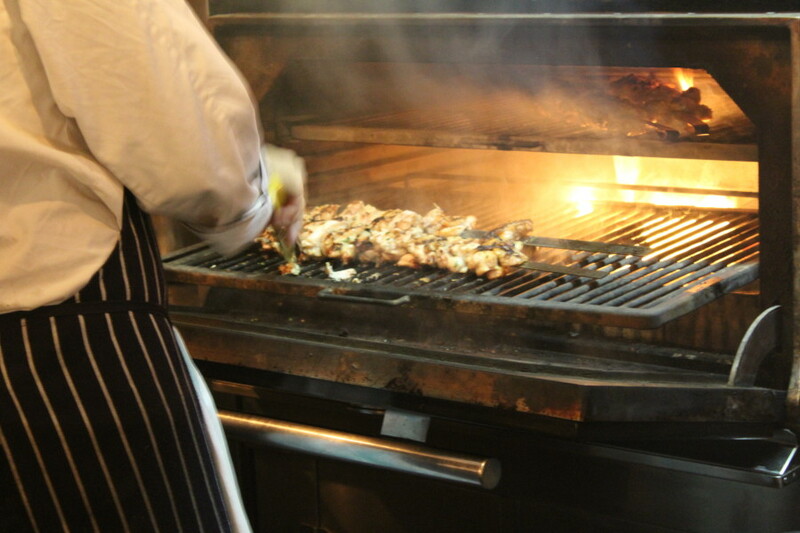 You can secure your table by heading to our website, www.hsandco.co.uk, or by calling 0208 555 3322. Alternatively, you can visit our Stratford restaurant, located at 405 High Street, Stratford, E15 4QZ – we’d love to say hello!